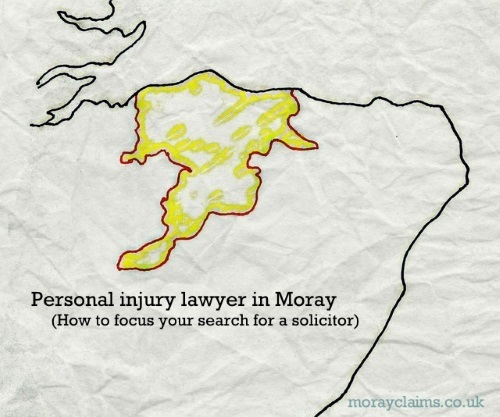 If you live in Moray or have been injured in an accident which happened in Moray, here are some factors to consider if you need to choose a solicitor to help you with a personal injury claim. Are you going to use a local solicitor or one who is at a distance from you? A Moray solicitor will have local knowledge, which could be useful and give them an advantage over someone who is not based in the area. For some types of accident – for example, pavement tripping accidents – it can be crucial for someone (often, the solicitor!) to visit the locus of the accident as soon as possible after the accident in order to take photographs and make measurements. A local solicitor is going to be better-placed to carry out such work. Or maybe not. Google Streetview and other free online tools mean that a virtual visit to a locus is often possible and this may be sufficient, depending upon the type of accident. So, it may not be essential to have a local solicitor to deal with your claim. Your solicitor should keep you informed of all developments with your case on a regular basis wherever they are located. Even so, it can be reassuring to know that, if necessary, you can “doorstep” the solicitor at the office rather than having to rely on phone calls and emails being returned by a distant solicitor. Does the solicitor have accreditations? Solicitors are not all the same. Just because it says on the solicitor’s website that they take on accident claims, it does not mean that it forms a large part of their business or that they have any particular expertise in relation to personal injury claims. 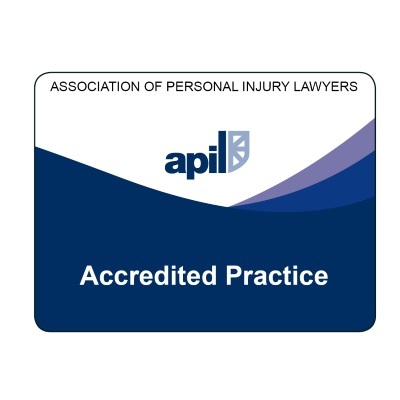 Accreditations from reputable independent bodies can be a good indicator that the solicitor has both an interest in personal injury claims and specialist knowledge. 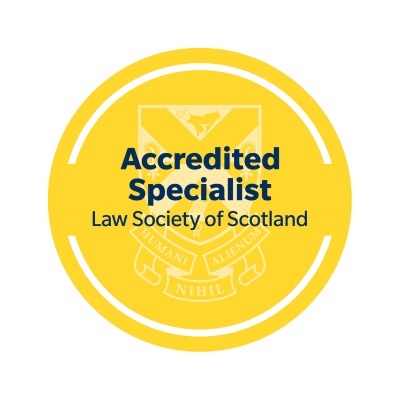 Examples of relevant accreditations which apply in Scotland are the Law Society of Scotland’s Specialist Accreditation Scheme, which includes the specialism of “Personal Injury Law”, and the Association of Personal Injury Lawyers’ (APIL) accreditation scheme. Do they offer legal aid? Losing your claim and having responsibility for your opponent’s costs is the biggest worry of all. Legal aid is available for personal injury claims in Scotland. Some people qualify without having to make any financial contribution. At the other extreme, some people do not qualify at all. In the middle are people who qualify but have to pay a financial contribution by monthly instalments, which can amount to hundreds or even thousands of pounds over years. If you qualify for legal aid financially, the potential size of any contribution you will have to pay is relevant to whether it is a good idea at all to proceed with the claim using legal aid. If you have to pay a contribution to legal aid and your claim in successful, you will get your contribution refunded to you at the end of the case. The ability of your opponent to claim back court costs from you if you are legally aided is restricted in most cases. The opponent can end up having to pay most, if not all, of their costs themselves, win or lose, which can improve your bargaining position if you are trying to negotiate a settlement of the claim. Do they offer a “no win-no fee” option and, if so, is it backed by some form of insurance? Many firms have made the decision not to provide a legal aid service for personal injury work but to concentrate instead on no win-no fee. The big problem of possible liability for your opponent’s court costs means that “pure” (uninsured) no win-no fee does not safeguard your interests. If your claim fails, you could be left with a bill of ruinous proportions. “After the Event” insurance is available for no win–no fee cases to cover the opponent’s expenses. You need to have a solicitor who can offer you this protection. Some larger firms of solicitors have set up separate claims funding companies which perform the insurance function. The pay-off for them is that, if your claim is successful, you agree to pay a proportion of your compensation (typically, 20%, for most claims). With After the Event insurance, the premium is usually only payable on successful conclusion of the claim. The premium level depends on the type of accident you have had. Road traffic accidents are generally simplest, at least in terms of liability, so they attract the lowest premium (£200 – £250). Accidents at work are more complex, on average, and the premium is often more in the range £400 to £500. Some solicitors will agree to bear the cost of the insurance premium themselves in certain circumstances. This means that you receive the “full” value of your claim, without any deductions. So how do you choose between legal aid and no win-no fee, if both are options? The interplay between the different factors is complex. Shortly after an accident, it can be difficult to work out which of the various available deals is likely to leave you with the greatest amount of compensation at the end of the claim. The main thing to be aware of is that you are not necessarily stuck with an arrangement which will result in you losing 20% of your damages (or thereabouts) when it is all over. Does the solicitor’s firm have an Edinburgh office? If your case requires to go to court, it will either be in the Sheriff Court local to the place where the accident happened or in the Court of Session. The Court of Session is the highest court for civil business in Scotland. It is in Edinburgh. Rural firms of solicitors, such as those in Moray, are small firms without an Edinburgh branch. The more serious your injuries and their consequences, the more likely it is you will be advised to raise any court action in the Court of Session. If your solicitor has an Edinburgh office, any Court of Session action can be handled by them “in-house”. If your solicitor does not have an Edinburgh office, it is necessary to instruct a second firm of solicitors to act as Edinburgh agents in Court of Session proceedings. This will not prejudice your claim in terms of how well it is handled because the main responsibility for dealing with cases once they get to the Court of Session – no matter how they get there – lies with an advocate (barrister) or a solicitor advocate. Whether having a local solicitor and Edinburgh solicitor will cost you more from your compensation than a solicitor where it can all be handled within a single firm will depend on the circumstances. It is something you should discuss with your solicitor. Claims worth less than £100,000 are likely to be excluded from the Court of Session by the end of 2015. (The current limit is £5,000). 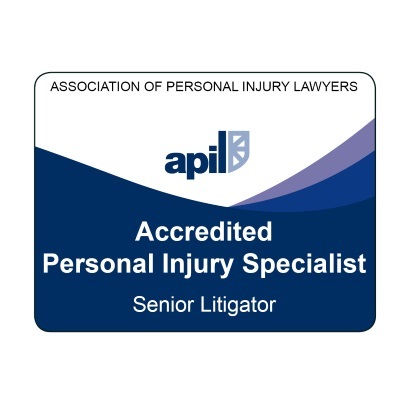 Most personal injury claims have a value less than £100,000. The distinction between Court of Session and Sheriff Court is likely to become less important for personal injury claims, accordingly. In future, the choice may be more between the local Sheriff Court and a national specialist Sheriff Court for personal injury claims which it is proposed will be set up in Edinburgh. Your solicitor must be someone you get on with and with whom you can work as “a team”. Will you feel comfortable if you never meet your solicitor face-to-face or is that important for you? Does your solicitor have the experience and expertise to deal with your claim properly? Assuming your claim is successful, how much of your compensation will you actually get to keep? If you have any questions about this article or about our personal injury claim services generally, feel free to get in touch with us. We will try our best to give the advice which meets your interests. If we think that someone else is better placed than us to help you, we will tell you and direct you to them. All initial enquiries are free of charge and without obligation. You can contact Marie Morrison or Peter Brash via 01343 544077 or Make A Free Online Enquiry. We hope you will achieve a successful conclusion to your search for ” Personal Injury Lawyer in Moray ” via Moray Claims at Grigor & Young.